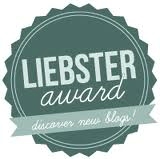 I was very glad to discover thath I had been nominated by Jpei from the blog itsjpei for the Liebster blog award! Thank you so much! First, you have to post 11 random facts about yourself. Then, Answer 11 questions asked by the person who nominated you. And obviously, Let the bloggers know that they’ve been nominated! ▲ I can’t stop singing every day and that can be exhausting for the people around me. ▲ I’m fond of cooking, especially pastries, and I watch every single cooking programme on television. ▲ I’m not afraid by insects. ▲I play the flute and the guitar. ▲I hate spending time watching series or films like everybody would do. On the contrary, I’d spend my days travelling or walking to discover new places. ▲One of my aim in life is to be able to rap just as Macklemore in his songs hehe. ▲I love English Litterature, but I’m also a great fan of Stephen King, which is quite different. ▲I hate Nutella – no, I’m not a monster -. ▲I’ve got a rather boyish taste concerning films because I don’t like sentimental or girly films. ▲As a child I wanted a seahorse and a wolf, but as it is impossible, I’d rather have a dog. ▲ Where are you from? I’m from Limoges, France. ▲ Why did you start blogging? I started blogging after a very harsh study year. I faced hard moments, and one of my friend convinced me, that’s why I decided to do what I’d always wanted to. ▲ How long have you been blogging? It’s been 4 months. ▲ What’s your favourite thing to do in your sparetime? It’s hard to choose, I’d say I like hanging out with my friends, following fashion, doing some sport and creating things thanks to all the tutorials available on the Internet. ▲ What’s your pet peeve? I absolutely hate spiders. ▲ Food you can’t live without? Fruits! ▲ What’s your favourite kind of music/artist/band? I especially listen to rock music, and my favourite bands are British bands, such as The Klaxons. ▲ Which country do you most want to travel to? I’d like to go on a road trip to America, and see Route 66. ▲ Hidden talents? I can draw, sew and knit. ▲ Favourite time of the year? Summer, forever! ▲ What are your goals/dreams for the future? I’d like to success in getting the job I’ve always wanted to do, to have an opportunity to become influent in fashion (okey it’s a big dream), and to travel a lot! 1/ Where are you from? 2/ What’s your passion in life? 3/ If you had to travel in one country, which country would you choose and why? 4/ If you had to travel far away with one object, what would it be and why? 5/ Who is your icon in life? 6/ What’s your simple pleasure in life? 7/ The thing that you can’t bear in life? 8/ What’s your dream expensive purchase? 9/ What kind of music do you like? 10/ What’s your favourite ice cream flavour? 11/ If you could have a super power, what would it be? Let me know if you accept the award, I’d be happy to see your answers! Merci pour la nomination :) !! Oui, il y a tellement de choses à voir sur cette route! De rien, çà me fait plaisir ;) Et oui, ça a été le plus difficile pour moi aussi hehe.